Absolute Tax 2019 allows you to purchase modules to complete and file online* the various HMRC forms. This includes SA100, SA800, SA900, CT600, R185, R40s and SA700s. In each module you will also be able to access the 64_8 form for client approval. Each module replicates the paper HMRC form, and allows for easy input entry either directly onto the form or via backing schedules where appropriate. The forms can be printed or exported to PDF to email to the client for approval and where applicable will also produce a detailed computation showing the liability for the current tax year. You can also access (a separate install is needed from the support team) earlier years tax returns for historical purposes. *certain forms are not accepted online by HMRC and so can only be completed to be printed for paper filing. Absolute Corporation Tax Return (CT600) 2019 is a fully iXBRL compliant tax return package for electronic filing to the HMRC. Absolute Tax Trust (SA900) 2019 is a very easy to use package and makes it very efficient and quick to complete and file form SA900 to HMRC, even for the most complex trust. The Absolute Dividend Browser works as an add-on, to enable us to deliver a comprehensive database of UK dividends supplied by Exchange Data Securities Taxation Service. Absolute Tax for Non-resident Companies (SA700) 2019 enables you to prepare the SA700. 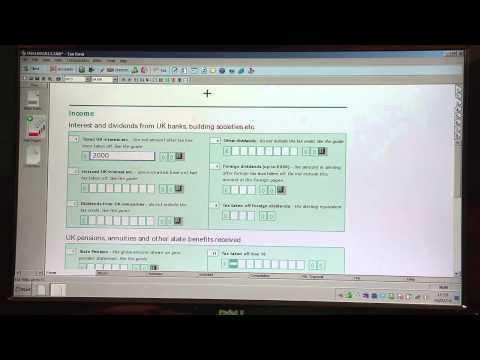 At present HMRC's systems do not allow online filing of the SA700 electronically.